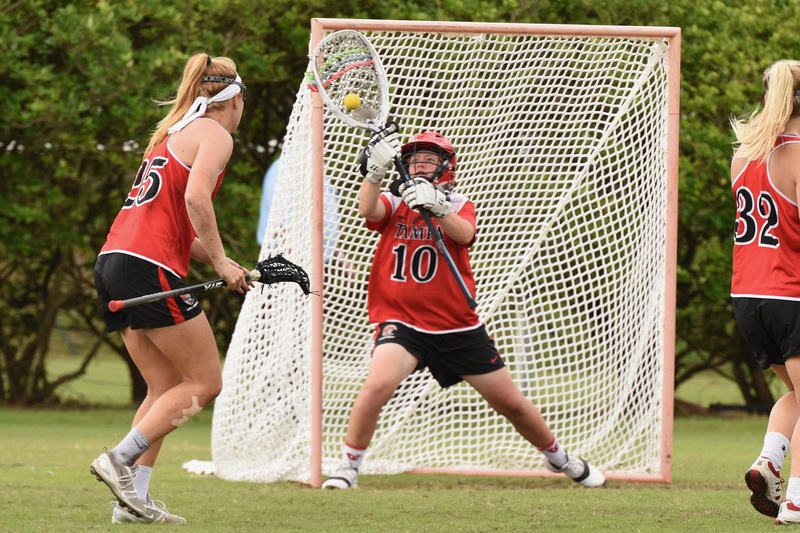 Freshman goalie, Bridget Sutter, from Evergreen, Colorado, for the women’s lacrosse team was named Sunshine State Conference (SSC) defensive player of the week and Division HERO of the week. Sutter, from Evergreen, Colorado, is the first Spartan this season to win either award. Sutter made her college debut in the teams home opener against No. 11 Rollins college. The Spartans came out ahead, upsetting the Tars 10-6. Sutter faced 17 shots and made 11 saves in her first ever start in net for UT. Sutter was able to lead her team to its first ever win against the Tars. After her stellar performance, Sutter won the Division II HERO award shortly after. HERO of the week award is the award for best individual performance out of each division in NCAA sports. This award is unique, in that the nominees for the award are posted at the beginning of the week and fans vote to determine the winner. Sutter is the first ever Spartan to win this award out of all the athletes at UT. Head coach Kelly Gallagher has highly benefited from Sutter’s success on the field and is proud of her hard work. The key to Sutter’s success comes in her work ethic and the goals she sets to better herself on the field. Despite this, the Spartans fell 13-11 against another tough opponent in No.13 Limestone College. In the back and forth action of the game, Sutter had seven saves on the day against 24 shots from Limestone. Gallagher has high very hopes for her team the rest of this season. “My goals for each of our student-athletes and our team is that we play with confidence and as a team every chance we have. If we do, I know that we will be successful,” said Gallagher. The Spartans are set to travel to North Carolina in the next few days to take on Queens College and Belmont Abbey in a two-game road trip.